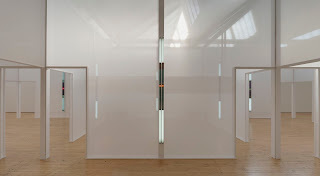 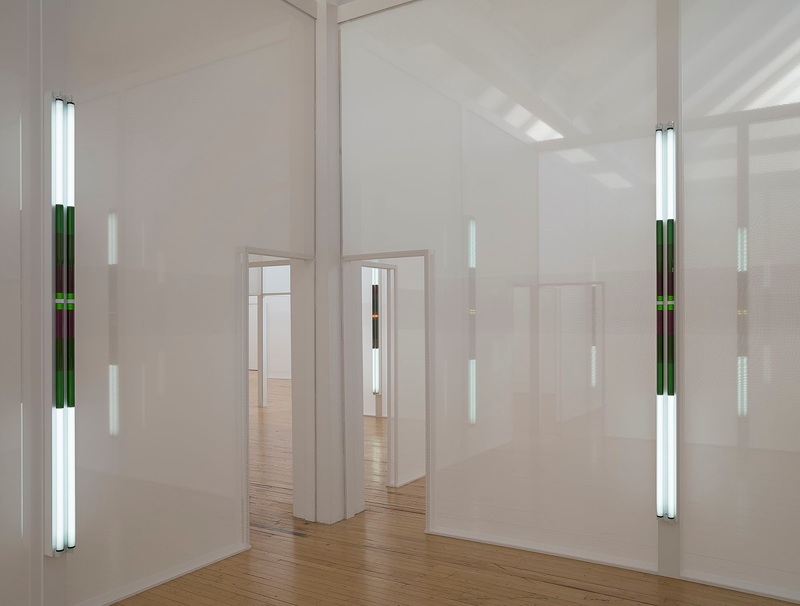 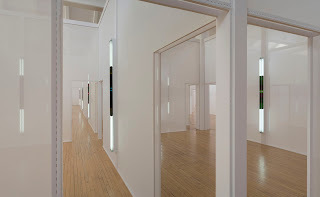 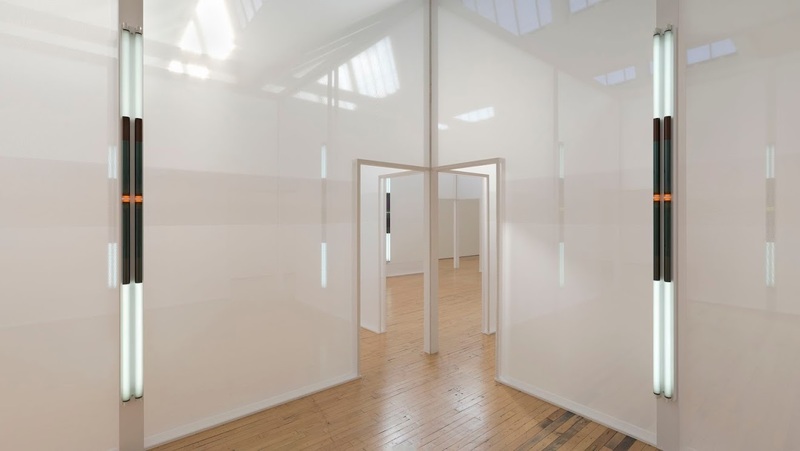 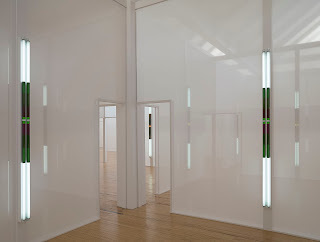 Excursus: Homage to the Square³, Robert Irwin’s landmark site-specific work, was originally commissioned for Dia Center for the Arts in New York City, where it was presented from 1998 to 1999. 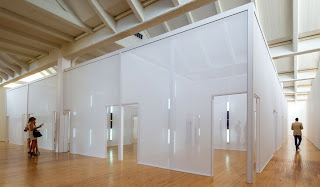 For this new installation, the numerous chambers made of mesh scrim that comprise the work are reconfigured for Dia:Beacon and are lit by intersecting fluorescent and natural light. 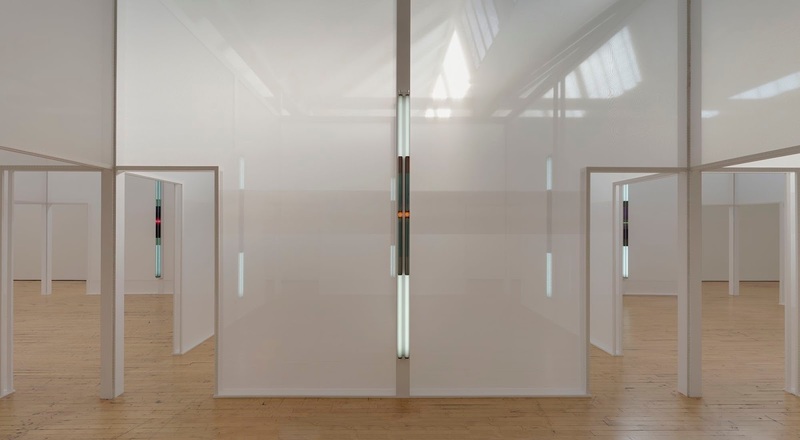 Excursus: Homage to the Square3 exemplifies Irwin’s practice of creating environments that bring attention to the subtleties of perception.